Mitsubishi announced that sale of the European-spec i-MiEVelectric vehicle is to commence in 15 European countries: Austria, Belgium, Denmark, France, Germany, Ireland, Italy, the Netherlands, Norway, Poland, Portugal, Spain, Sweden, Switzerland, and the United Kingdom. MMC began production of the i-MiEVs for Europe from October of last year. Three months after starting shipment, about 2,500 units—including Peugeot iOn and Citroën C-ZERO units—were shipped. In addition to the first 15 countries the car is to be sold in, there have been requests to introduce the i-MiEV from Finland, Serbia, Turkey, and Slovenia. In response to these requests, MMC plans to ship units to these countries in the near future, making the European countries the i-MiEV will be sold in to 19. 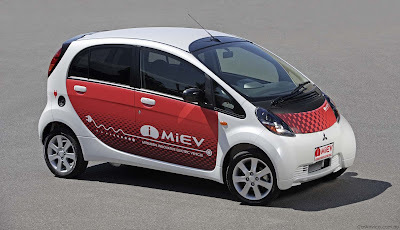 Later on, the i-MiEV shall be sequentially introduced further within Mitsubishi Motors Europe’s territory.